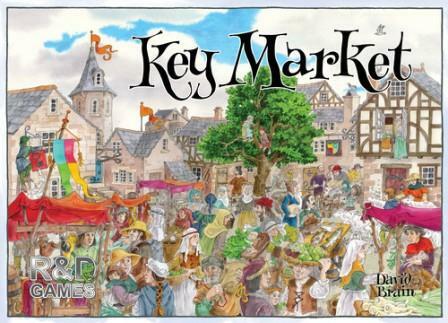 Key Market is the sixth game in the Key series of stand-alone games published by R&D Games set in the medieval lands of Keydom, with components in both English and German. The game is designed by David Brain, who was a playtester on some of the earlier Key games. The game is the first game published by R&D Games that has not been designed by Richard Breese. 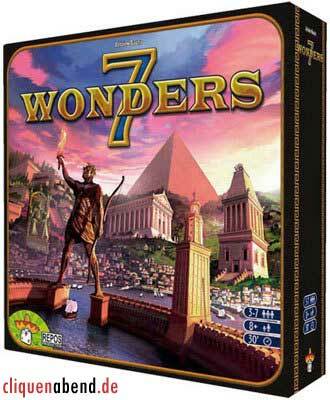 Richard this time takes on the role of developer and the game consequently has the same look and feel as the previous Key games, with artwork again by Juliet Breese plus its own set of ani-/vegi-/arti-meeples. 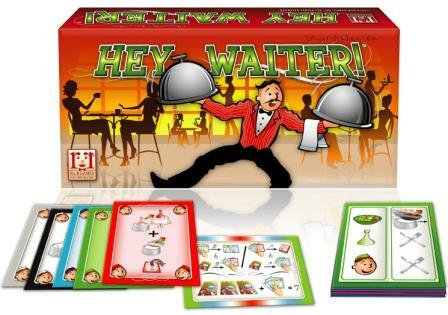 Each player controls an extended family of workers. Over the course of two years, players will organise their workers in an attempt to turn their initial scanty resources into a thriving economic system. After an initial set up phase, the game is played over eight seasons. Each season has three distinct phases, during which players may take a variety of actions. The topography, weather and seasons will influence the ability of workers to produce crops and livestock in the fields and luxuries in the villages. In addition resources and luxuries may be bought and sold in the market, or gold and favours sought and acquired. Other workers may be sponsored to join the powerful guilds, where they will acquire skills as they gain promotion to become craftsmen or even the guild master. Turn order throughout the game is determined by the player’s position on the season track, which changes at the end of each season. At the end of the game the player who has acquired the most gold will win the game. The game is for two to four players, with a game time of approximately 30 minutes plus 30 minutes per player. Sie hier mit Sicherheit nicht brauchen, aber es ist von Vorteil, bis 5 zählen zu können, um die fünf Gänge Ihres MRC (Micro Rally Car) einlegen zu können. Kopiloten achtet, und sich zugleich bemüht die Kontrolle über sein nicht zu verlieren. Beim Würfeln zeigen die Symbole schrittweise das Niveau des eingegangenen Risikos an. Vor dem Wettkampf hat die Besatzung die Route erkundet. Der Copilot hat sich nach den Anweisungen des Piloten Notizen gemacht, die er ihm später im Verlauf des Rennens mitteilt, den so genannten Aufschrieb. 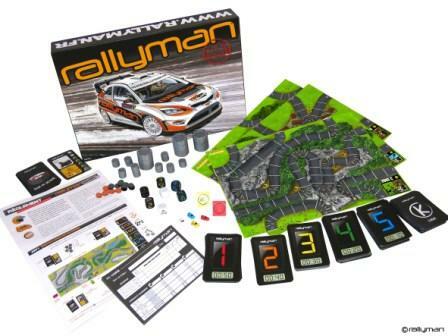 Bei Rallyman bezieht sich dieser auf der Strecke benutzte Aufschrieb auf die am besten einzulegenden Gänge, um sicher Ideallinien, geschnittene Kurven und Sprungkuppen zu meistern. Der Pilot sammelt entsprechend seiner Fahrweise GANGKARTEN, deren Wert zwischen 10 und 50 Sekunden beträgt. Die Summe dieser Werte bestimmt dann seine Zeit am Ende der gestoppten Strecken, den so genannten Wertungsprüfungen. Der Gewinner ist derjenige, der in Summe die drei Wertungsprüfungen am schnellsten durchfährt. For a brief period the Industrial Revolution burned so bright that Britain was known as the 'Workshop of the World.' This Ragnar Brothers' game recreates that dramatic time. Players establish their position on the map-board by investing in ports, heavy industries, textiles, light industries and crafts. Canal networks are built to connect the thriving towns. Expenditure is vast, but capital gains are greater. Next the railways are built and each player seeks to strengthen their industrial base. By game end, towns are linked from London to Wales, Scotland to the Channel ports. Wealth decides the winner. ASARA, das Land der tausend Türme, öffnet dir seine Pforten. In der Rolle von Bauherren versuchen die Spieler möglichst viele und hohe Türme zu errichten. 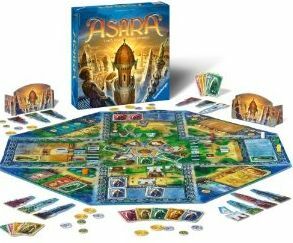 ASARA bietet einen spannenden Spielverlauf - und das ohne kompliziertes Regelwerk! In der Rolle von Bauherren versuchen die Spieler ihr Prestige im Reich des Kalifen zu vermehren. Hierzu errichten sie möglichst viele, prächtige und hohe Türme. Wem das am besten gelingt, geht am Ende als Sieger hervor. 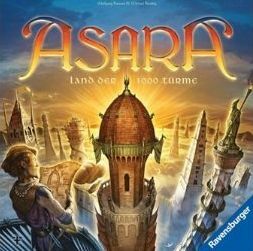 ASARA bietet in jeder Partie einen spannenden Spielverlauf und immer neue Herausforderungen ? und das ohne kompliziertes Regelwerk! Jeder Spieler führt zwei "Renn"hühner, die er Feld für Feld der Hügelspitze näherbringt. Doch die lieben Mitspieler sorgen dafür, dass man auch immer wieder mal ein Stück zurückfällt. Und so geht der heiße Wettstreit um die Hügelspitze hin und her, rauf und runter! Wer lässt die wenigsten Federn und hat am Ende die Schnabelspitze vorne? Gut gemerkt allein reicht jetzt nicht mehr! 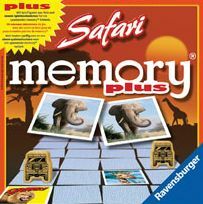 Beim Safari memory® plus bleiben immer alle Karten im Spiel. Außerdem steigern Aktionskarten und Blockade-Jeeps die Spannung. Jetzt könnt ihr memory® clever und taktisch spielen! Welcher Safari-Abenteurer schafft es als Erster, sein Foto-Album zu füllen? tiptoi® ist ein völlig neues Lernsystem, mit dem Kinder die Welt spielerisch entdecken. 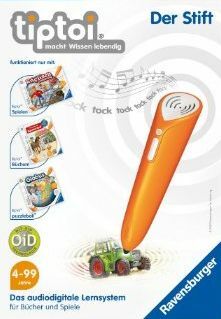 Die intelligente Elektronik im tiptoi-Stift ermöglicht Kindern, Bücher und Spiele völlig eigenständig immer wieder neu zu erleben. Als Grundlage des Systems funktioniert der tiptoi-Stift mit allen, in einem speziellen Druckverfahren hergestellten, tiptoi-Büchern, -Spielen und -Puzzles. Die zugehörige Audiodatei des jeweiligen Produktes lädt der Kunde sicher, einfach und kostenlos über das Internet auf den Stift. Erlebt ein neues, noch kniffligeres Spiele-Abenteuer! Dieses Mal liegt ein mieser Gedächtnisverlust-Zauber über dem Städtchen Schräghausen. Alle irren herum. Selbst die Tiere haben vergessen, wer ihr Herrchen ist. Arbeitet gut zusammen, denn nur so könnt ihr Ordnung in das Chaos bringen, den Menschen Hinweise entlocken und das Herrchen der Tiere wiederfinden. Das magische, sprechende Radio hilft euch bei diesem spannenden Spiel gegen die Zeit! 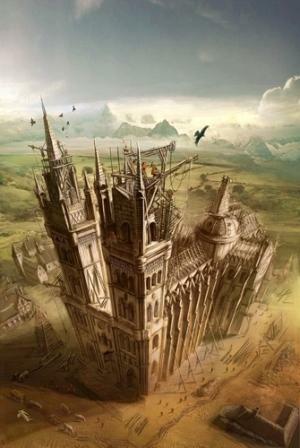 Basilica, a game for 2 players, presents the duel of two medieval master masons who are ordered to build a medieval cathedral together. Players are planning cathedral layout and overseeing work at the construction site in tandem, in the same time trying to gain advantage over the opposite player. The temple is built by laying square tiles adjacent to the board or already built tiles. Tiles form the plan of the cathedral. These tiles, distinguished by four colors, represent different elements of the cathedral. The pool of tiles available to players is random. Later, the players place pawns on the tiles – these pawns are the teams of builders: foremen, masons and carpenters, who will make the design a reality. The players strive to achieve two goals: to lay their cathedral tiles so as to create the largest possible areas representing a single color, and to have more pawns in these areas than their opponent. Every tile bears also one special action that could be played instead of adding a tile to the cathedral. Using these actions player may move pawns from tile to tile, promote them (increasing their value) or manipulate the tiles. Execution of specific order excludes the tile from being used as part of cathedral, so choice between expanding the edifice and making some action is strategic. Planning and optimal use of available resources is important, as both participants share the same selection of tiles. Thus, tiles and actions shown on them not used by the player in her or his turn become immediately available to his opponent. Some tiles trigger movement of a special King pawn, which moves along the scoring track. Every few moves, the King pawn comes to a space indicating a royal visit to the cathedral. During each royal visit, the progress of work is assessed and Victory Points are assigned to the players. The number of VPs each player is awarded depends on the size and number of the areas controlled by their pawns at the moment of scoring. The more areas the player controls, and the bigger these are, the greater the reward for the player. At the end of the game, the winner is the player who has claimed more Victory Points. And K2 has never been climbed in winter. 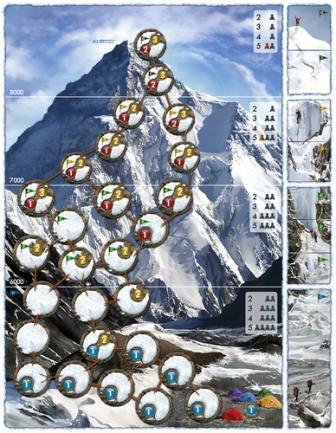 K2 is a board game, in which each player controls a team of 2 mountaineers, trying to climb to the summit of K2 and return before the other players teams and before mountain kills them. Every player uses the same deck of cards. You use the cards to move your climbers on the route pictured on the gaming board, or to acclimatize the members of your team. You can also set up a tent and wait for a better weather. You will have to choose your path carefully as the other mountaineers can block your way, and watch the upcoming weather which can lower your acclimatization below 0 thus killing your climbers. K2 is a hand management game for 1-5 players, with strong interaction and low luck factor, lasting up to 60 minutes. The theme is very well represented by the mechanics, including such elements as changing weather, lack of oxygen and death of the mountaineers. The result is an exciting match for gamers and non gamers alike. The box, among all other materials, include double-sided board with two different routes to the summit (easier and harder) and two sets of weather tiles (for summer and winter). Siehe The Game Master Eintrag. 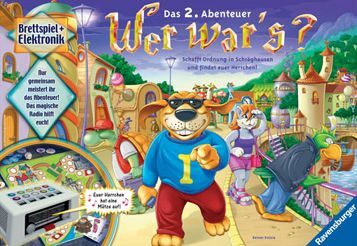 Wir befinden uns in der Zeit der 7 Weltwunder, alle Spieler erhalten sieben Karten und wählen eine davon aus. Die restlichen sechs Karten werden an den nächsten Spieler weiter gereicht. Die Spieler decken ihre Karten gleichzeitig auf und bezahlen die erforderlichen Rohstoffe, sammeln Rostoffe ein oder interagieren auf andere Weise mit den anderen Spielern. Zusätzlich besitzt jeder Spieler eine Spezialfähigkeit die wie beim vorherigen Bauza Spiel (Ghost Stories) auf dem Spielertableau hinterlegt ist. Nun wählen die Spieler aus den sechs verbliebenen Karte eine aus und reichen den Rest weiter, usw. Wie jedes Jahr gibt es eine limitierte Edition des Spiels (diesmal 777 Stück) die vorbestellt werden kann. • Die klassische Version für 35 € mit dem Grundspiel und den Goodies (achtes Weltwunder und Manneken Pis in Brüssel mit entsprechender Weltwunderkarte) + 1 Ex-Ludis von Antoine Bauza und Miguel Coimbra. • Die Vollversion für 40 € mit demselben Inhalt und einem tollen T-Shirt nach Wahl! "Le Donjon de Naheulbeuk" ist ein französisches Rollenspiel-Comedy-Comic, welches in Deutsch noch nicht veröffentlicht wurde. Bernadette von cliquenabend.de ist aber ein großer Fan der Comics und kann das Spiel somit kaum erwarten. 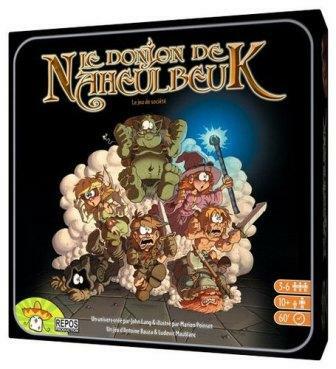 "Le Donjon de Naheulbeuk" is a cooperative game in which the players try to recover the last of Gladeulfeurha's statuettes. Players embody adventurers in this dungeon-crawling quest, each with a different class, skill and personality: there're the stupid barbarian, the belching ogre, the haughty sorceress, the dumb elf, the coward thief, the ever-singing bard, the cranky dwarf and the ranger who wish he were a leader… (all the characters and elements of the game are inspired by the audio and comics saga by the same name, parodies of Fantasy RPG — à la Munchkin). * Balance Check: the player must put a Destiny Tile on the top of his head, walk/run around and sit down again without letting the tile fall. * Climbing Check: the player must put a Destiny Tile on the top of his head, stand up on his chair, then sit down again without letting the tile fall. * Dexterity Check: the player must build a house of cards using Destiny Tiles. * Speed Check: the player must put a Destiny Tile on the edge of the table, then slap it up the air and catch it before it falls back down. 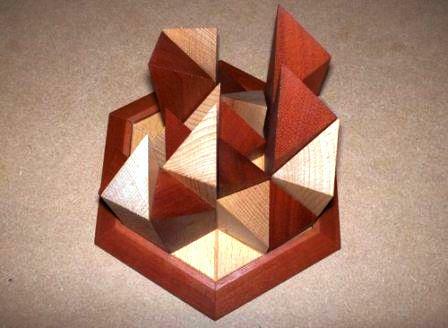 * Precision Check: a player stands 3 steps from the table, holding the game box, and the others must throw Destiny Tiles into the box from the other side of the table. * Coordination Check: players stands a step from the table, and must circle all the Destiny Tiles around the table, throwing them from one player to the next. * Stamina Check: the player must stand on one leg, with a Destiny Tile on his other knee and another one on both of his forefingers, without dropping down either one. 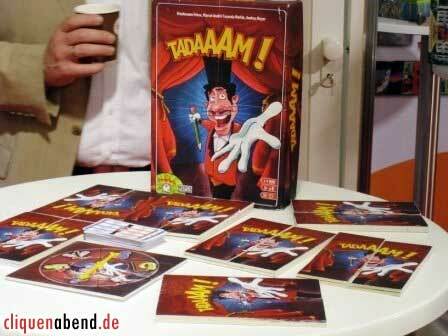 The battles are also timed and are played with Letter Cards, that can be exchanged one by one between 2 players. They are used to spell special words (several different words for each character) as blows to the enemy. Every time a player plays cards to spell a word, he draw 3 new cards and keep on playing. At the end of the battle, if there're enough blows, the enemy is defeated. For instance, the sorceress can cast a spell by spelling "wazaaa" with any number of a's at the end, wounding the enemy for every extra a's. The barbarian can misspell a letter in each of his word. The bard and the ranger can make other players draw cards. And so on… For every 3 cards played with a punch symbol on it, a player takes one wound him/herself. Using gold and/or xp, characters can level up (up to level 3) and gain access to more powerful attacks or skills. The party can rest up to 3 times a game to recover from one wound each. If a player dies, he shuffles his character sheet with the other available sheets and pick one : if it's the same, he recovers all his health and keep all his loot, gold and xp; if it's another one, he dies, loses everything, and continues the game as a totally new character. If the players defeat Zangdar the Sorcerer in the 14th room (4 tiles with different rules so every game doesn't end the same way), they win the game. Neuveröffentlichung von "Monstermaler" aus dem Jahre 2006 (2F-Spiele). 4 und mehr Spieler und Spielerinnen versuchen gleichzeitig, möglichst erkennbar eine Hälfte einer zuvor gewählten Person zu malen. Wer fertig ist, ruft Stopp! Der langsamste Spieler darf nicht zu Ende malen. Nun wird die Hälfte abgedeckt, und der linke Nachbar ergänzt die rechte Hälfte der gewählten Person - natürlich, ohne die linke Hälfte zu sehen. Monstermaler ist das perfekte Spiel für die Party, zum Aufwärmen oder Absacken und für Leute, die eigentlich gar nicht spielen. Ach ja, malen zu können, ist wahrscheinlich eher ein Nachteil beim Monstermalen. 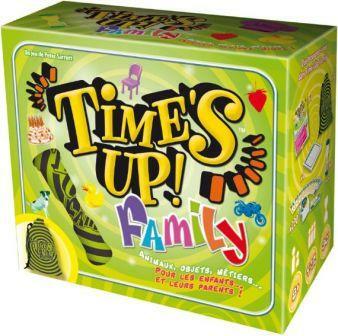 Diese Time´s Up! Version wird nur in französischer Sprache veröffentlicht. In dieser Familienedition wurden die Namen durch Berufe, Tiere und Objekte ersetzt. 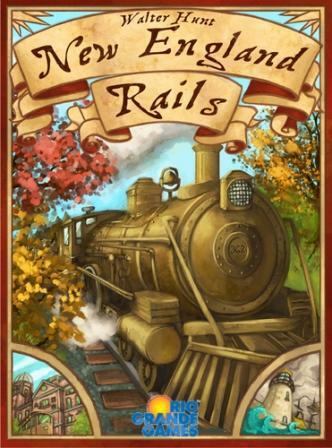 New England Rails is a business strategy game set in the middle 19th century in New England. 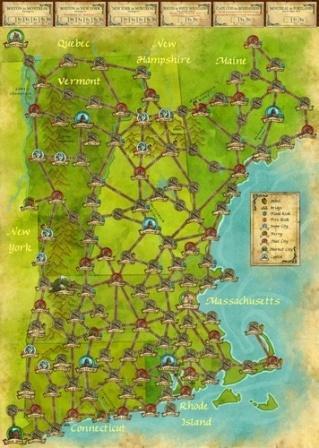 Players are trying to maximize the value of their assets by developing businesses in the six New England states, claiming special routes, state subsidies and contracts for delivering mail, and competing for rail routes and depot placements. 6 verschiedene, zweifarbige Spielsteine müssen zu einem Würfel zusammengesetzt werden. Das spannende, unterhaltsame Spiel bei dem Spielsteine verteilt und gesammelt werden. Nie ist es gleich, stets gibt es unterschiedliche Spielsituationen. 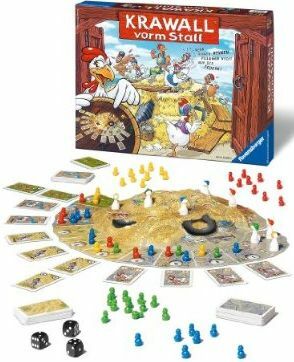 Dieses in Kindergärten sehr bekannte und beliebte Spiel wird auf einem Feld mit je 6 Mulden in 2 Reihen gespielt. Jeder der zwei Spieler kontrolliert eine Reihen. Die Spielsteine werden in den beiden länglichen Mulden (KALAHA´s) jeweils zum Kopf des Spielbrettes gesammelt, je Spieler eine KALAHA. Das Niek Neuwahl Spiel bekommt eine 2. Auflage spendiert. Jeder Spieler besitzt 12 Holzblöcke (je drei in vier verschiedenen Größen) die alle eine Triangel als Basis besitzen. Ziel des Spiels ist es als letzter einen Block zu platzieren. - Ihr müsst den letzte gegnerische Holzblock mit eurem berühren. Die Spieler sind Kellner und versuchen ihre Bestellungen (dargestellt durch Pokerchips auf den Karten) vor allen anderen Kellner an die Tische zu liefern. Jeder Spieler besitzt Handkarten die zum größten Teil (Außnahme sind Spezialkarten!) in einen linken und rechten Teil aufgeteilt sind. Ein Spieler sucht sich immer zwei Karten aus und verwendet von der einen Karte die linke und von der anderen die rechte Seite. Mit Hilfe der Karten kann man die Bestellungen (Pokerchips) bewegen oder sie ausliefern. Beim ausliefern muss man jedoch vorsichtig sein, da jeder diese Art von Bestellung an einem Tisch abgibt, wenn sie bei den Gegner auch oben liegt. Dies führt auch dazu, dass der ein oder andere seinen Pokerturm, aufteilen wird. Das bringt ihm mehr Möglichkeiten, reduziert allerdings auch das Handkartenlimit - Kritisch! 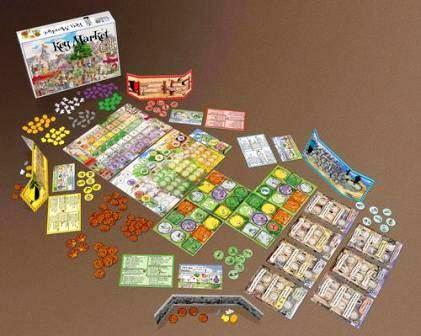 In Essen wird es eine kleine Erweiterung zum Spiel "Masters of Venice" (2009) zu erstehen geben. Die Erweiterung enthält fünf neue Charakter Karten und bringen neue Möglichkeiten in das Spiel. 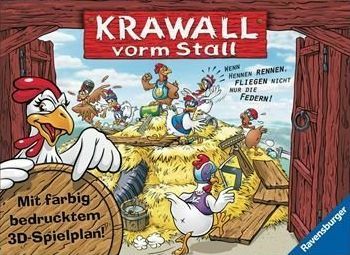 Die Erweiterung ist limitiert und wird in Essen kostenlos an die Käufer des Grundspiels weiter gereicht (wobei das Grundspiel nun auch deutsche Spielregeln enthält) oder man kann sie für 3 € erstehen. aufRUHR! ist ein Brett- und Kommunikationsspiel, das sich als frecher, liebevoller Kommentar zur aktuellen Diskussion um die Zukunft des Ruhrgebiets versteht. Es empfindet in abstrahierter Form das Ringen um die Konstituierung einer übergreifenden RuhrStadt nach, das die Regionalpolitik seit 90 Jahren in stetig wiederkehrenden Zyklen beschäftigt und heute aktueller ist denn je. Um zukünftig im internationalen Wettbewerb bestehen zu können, muss sich das Ruhrgebiet zweifellos neu definieren und formieren. aufRUHR! macht spielerisch mit der Idee der RuhrStadt und ihren Chancen vertraut und lässt die Spieler hautnah am eigenen Leib erfahren, welche Konflikte und Schwierigkeiten eine Neustrukturierung der Region mit sich bringen dürfte. Die Spieler übernehmen in aufRUHR! die Bürgermeisterämter der großen Ruhrgebiets-Kernstädte und begeben sich daran, mit den Konkurrenten zu kooperieren, um die Idee der Ruhrstadt voranzubringen, während sie gleichzeitig versuchen, so gut wie möglich den Einflussbereich der eigenen Stadt zu erweitern. Ziel ist es, sich selbst die Oberbürgermeisterwürde zu sichern und zu bestimmen wo das Rathaus der zukünftigen RuhrStadt stehen wird. 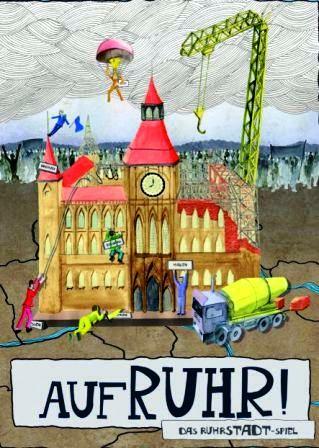 Dieser Balanceakt zwischen eigenem Kirchturmdenken und übergeordneter RuhrStadt-Idee versetzt die Spieler in ein permanentes Dilemma, um nicht zu sagen in Aufruhr! aufRUHR! ist aufwühlend und macht Spaß! Es ist ein Kommunikationsspiel, in dem fast alles erlaubt und verhandelbar ist, solange es öffentlich geschieht. Es wird debattiert, polemisiert, intrigiert, paktiert, bestochen und auch schon mal ein Skandal ausgespielt. Es ist fast unmöglich, sich in diesem Spiel keine Feinde zu machen. Ebenso schwierig ist es aber auch, sich dauerhafte Freundschaften zu sichern. Strategische Politik ist gefragt, um in diesem ständigen Wechsel der Konstellationen ans Ziel zu kommen!